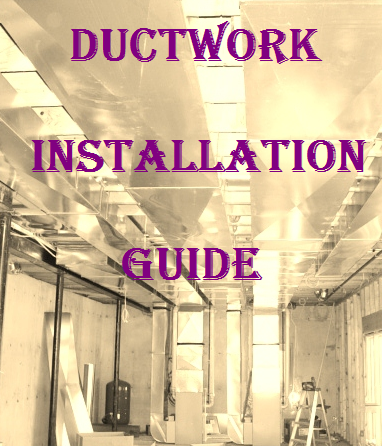 How to Quickly Size Ductwork! Explaining what is a air duct calculator, how to size of ductwork for an area as General rule: use 1 CFM per square ft. this will help on deciding how much air conditioning goes into any room. Homeowners beware, there are a lot of so called HVAC installers out there who do not know totally what they are doing to you and your home. A good HVAC system is more than cooling or heating your home. It is about having the proper air circulation. What this tool will help you in is making sure your installer put the proper size "Return Air Ducts" in your home. This is especially important if you are using Spray Foam. Proper circulation back to the AC Unit will help prevent the build up of moisture and dear I say mold. Chances are that most homes are getting only half the air exchanges that is required by codes for Indoor Air Quality. I use to have a ductulator when I installed HVAC systems. It's nice for making sure every room gets enough CFMs. I lost my ductulator years ago so I bought this one. It actually can be used for commercial installations too. Great Trane Ductulator it has great answers to any measures that you normally need. I recommend this ductulator any one that needs one.